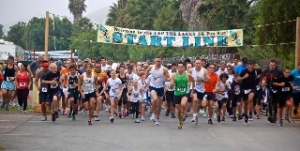 August 10, 2015 (Santee) – The Santee Lakes Foundation invites you to join in the sixth annual 5K Lap the Lakes on Saturday, September 19at 7 a.m. The run/walk is held at Santee Lakes in a flat, beautiful setting. There is also a half-mile Jr. Fun Run course for kids. Update: A preview video of Hairspray is now available. Click image below to view. 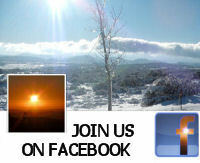 A second video preview can also be viewed at https://www.youtube.com/watch?v=84cAj6m5nMU&feature=youtu.be. September 6, 2015 (San Diego)--Visionary Community Theatre and Visionary Youth Theatre of east San Diego present Hairspray at the Performing Arts Center at Point Loma High School (2335 Chatsworth Blvd, San Diego, 92106) on September 10-12 & 17-19 at 7 p.m. Enjoy as the diverse and talented Visionary cast and crew welcome you to the 60’s! It’s 1962 - the ‘50s are out and change is in the air. Baltimore’s Tracy Turnblad, a big girl with big hair and an even bigger heart, has only one passion - to dance. 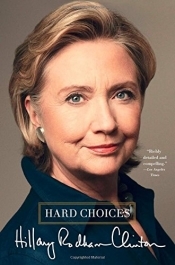 She wins a spot on the local TV dance program, “The Corny Collins Show” and, overnight, is transformed from outsider to irrepressible teen celebrity. But can a trendsetter in dance and fashion vanquish the program’s reigning princess, win the heart of heartthrob Link Larkin, and integrate a television show without denting her ‘do? 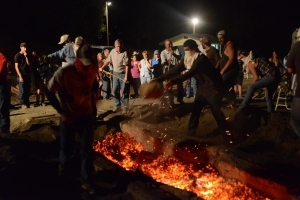 August 25, 2015 (Descanso)--Our Lady of Light Catholic Church in Descanso will hold its 78th Annual Deep Pit Barbecue on Sunday, September 6th during the Labor Day weekend. This week’s Destination East County features a grape stomp, a pow-wow an art show and a deep pit barbecue. 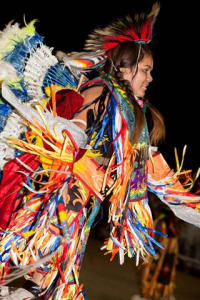 Plus we’ll have a preview of coming attractions including a production of the hit show Hairspray, Santee’s bluegrass festival, a dinner theatre show and as the season turns to Indian summer, yet another pow-wow. TROPICAL PARTY SAT. SEPT. 5 WITH EAST COUNTY MAGAZINE! Tropical feast including coconut curry & tropical chicken from Pick Up Stix, Pina Berry Colada & Champagne Mango Cakes from Grove Pastry Shop, island-fresh pineapple from Baron’s Market. Live entertainment: Reggae music by Ed Barrena & musical theater by Visionary Dance Theatre. Prize drawings & silent auction: Padres tickets, Italian dinner lover's basket, wine lover's basket with premium vintages, "Hairspray" musical theater tickets, pottery by Get Centered Clay, Kwai Sun studio passes (yoga, pilates, karate, fitness and more), dance lessons, beach-goers basket, Water Conservation Garden memberships, Santee Lakes fishing and pedal boat passes, Urban Jungle passes, Hawaiian wear, hand-crafted treasure chest, & more! SPACE LIMITED: EARLY RSVP STRONGLY RECOMMENDED. 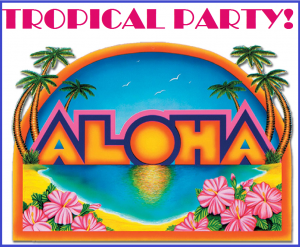 Read more about TROPICAL PARTY SAT. 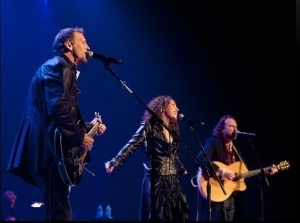 SEPT. 5 WITH EAST COUNTY MAGAZINE! 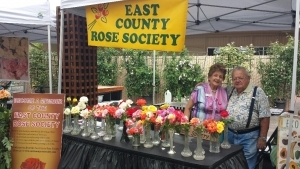 August 31, 2015 (El Cajon)—The East County Rose Society invites rose aficionados to a meeting on Sunday, September 6 at 2 p.m. at Kniffings Nursery (14940 Oak Creek Road in El Cajon). CAN A LAWSUIT STOP CHARGERS FROM BOLTING TO L.A.? Listen now: Dan Jaregui, aka "Boltman"
August 31, 2015 (San Diego) – In exclusive interviews with the East County Magazine Show on KNSJ Radio (89.1 FM) aired today, Dan Jauregui, better known as “Boltman” and prominent attorney James Quinn shared strategies to keep the Chargers in town. "It's been an emotional roller coaster," says Jauregui, who likens the Chargers' secret dealings with the city of Carson in Los Angeles to "finding out your spouse is cheating...As fans, we're going to take a stand." Jaregui, on behalf of fans, accuses the NFL of operating as a monopoly. He has sent a letter to City Attorney Jan Goldsmith asking the City to file a lawsuit to keep the Chargers in town. 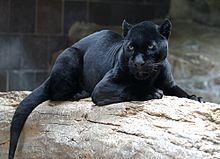 Quinn, via phone interview in New York, says the City of San Diego has a strong legal case against the National Football League (NFL) for violating the Sherman Anti-Trust Act and its own NFL charter. Quinn has sued the NFL several times on anti-trust grounds—and has a 100% winning track record. But so far, the City has punted on its option to file suit--and Boltman is leading fans in a charge to persuade the City to score a win for fans at the courthouse. 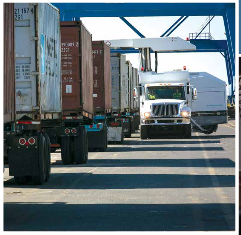 Read more about CAN A LAWSUIT STOP CHARGERS FROM BOLTING TO L.A.? 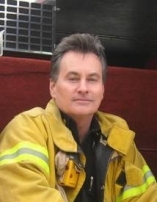 August 31, 2015 (San Diego's East County) - Both have been tested as some of this year’s most destructive fires came dangerously close to the Napa Wine Region. 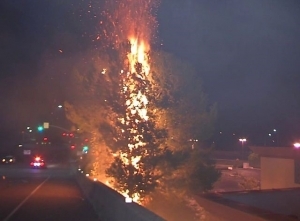 Several fires have also burned near Paso Robles. We're still not out of the woods as drought conditions and warm temperatures continue reminds Fire Chief Sam DiGiovanna. 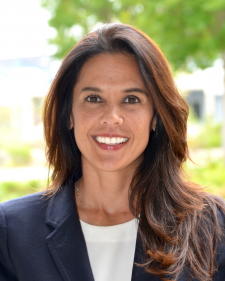 August 31, 2015 (Rancho San Diego)--Julianna M. Barnes, vice president of student services at San Diego Mesa College, has been selected to serve as president of Cuyamaca College effective October 5. 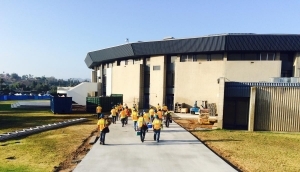 August 31, 2015 (Bonita)--After a heartbreaking end to their Little League World Series run, the boys of the Sweetwater Valley Little League just landed in San Diego tonight. The team’s run ended on Thursday night when they lost to Pearland Little League of Texas 9-7 in eight innings. 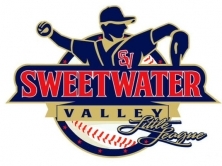 They are hosting a coming home party at the Sweetwater Valley Little League complex tomorrow, September 1st. 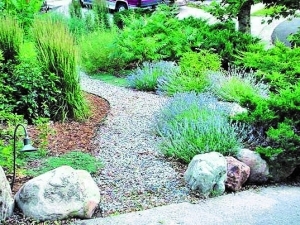 August 30, 2015 (Rancho San Diego) – From tossing the turf to water-wise and fire-wise landscape designs, the Water Conservation Garden at Cuyamaca College in East County’s Rancho San Diego neighborhood has a wealth of classes. 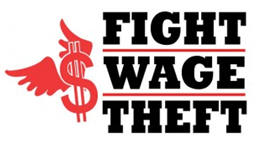 August 29, 2015 (San Diego)--Saturday, September 26 is Prescription Drug Take-Back Day. You can drop off your unused prescription drugs from 10 a.m. to 2 p.m. at locations throughout the county. For a full list of locations in San Diego County including numerous East County sites, view the flyer. August 29, 2015 (Julian)--Chef Jeremy Manley at Jeremy’s on the Hill has created another multi course feast featuring local produce, proteins and beverages on Friday, September 11th at 6:45pm. 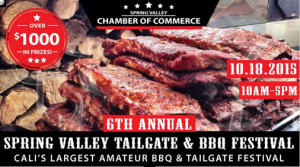 August 29, 2015 (Spring Valley)—Cali Comfort and the Spring Valley Chamber of Commerce invite you to savor the 6th annual Tailgate and BBQ Festival on October 18 from 10 a.m. to 5 p.m. Amateur barbecue enthusiasts will compete for over$1,000 in prizes at this event, which benefits youth sports in Spring Valley and includes free live entertainment for NFL fans and families, a kids’ zone and street vendors. 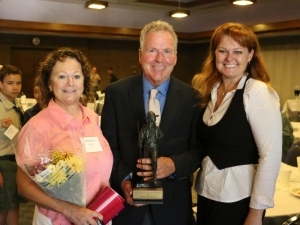 August 28, 2015 (El Cajon)--The Boy Scouts of the Heartland District in East County honored Craig McClain of Boys to Men Mentoring at a luncheon on August 26th at the Ronald Reagan Community Center in El Cajon. 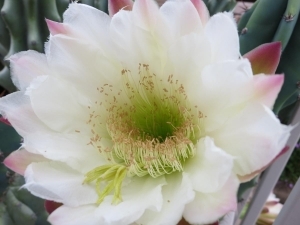 August 28, 2015 (El Cajon) – Robert Gehr snapped this photo of a cactus bloom at the Olaf Wieghorst Museum grounds on Rea Avenue in El Cajon. 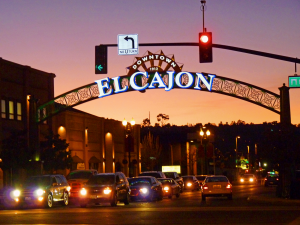 August 28, 2015 (El Cajon)--Music, art shows, classes and more are all coming up in El Cajon. This coming Saturday, August 29, it will be a day of music at the Prescott Promenade. Starting at 12 noon, three groups will take the stage as to “make-up” concerts for those that were rained out in May during the Dinner & a Concert series. 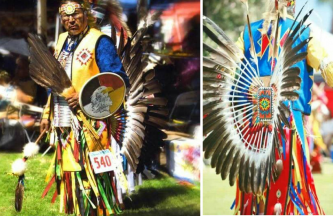 August 28, 2015 (San Diego) – Native American dancer Chuck Cadotte seeks public help to find his lost regalia, or ceremonial attire which he lost en route to the Tachi pow-wow north of our region. A box containing the regalia festooned with many eagle feathers fell off the roof of his vehicle somewhere along his pre-dawn route this morning, which stared at Balboa Avenue onto 805 north, then I-5 north and the 405 freeway before the Castaic Lake exit, where he discovered the treasured items were missing. “I’m at a loss,” he posted on his Facebook page. “If anyone out there has found my regalia items on the freeway, please, please call me to return my feathers.” It is illegal for non-Native Americans to possess eagle feathers, which are considered sacred in Native American culture. Cadotte adds that he has a permit to prove his right to possess them. His phone is 619-929-2875. 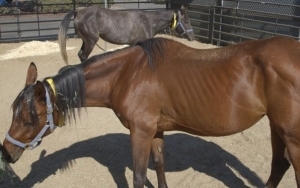 August 27, 2015 (San Diego)--County Animal Services seized more than a dozen neglected animals from a property in Jacumba Thursday.